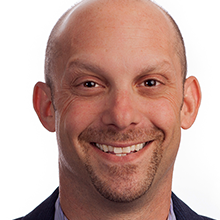 Scott Shamberg is the CEO of Performics, US and has served in executive-level roles for large companies, run marketing programs for Fortune 100 clients and been involved in early-stage start-ups. He has over 15 years of experience in media and digital marketing, just over 11 years of senior-level parenting experience and 43 years as a Chicago sports fan, most years tougher than others. Most recently Scott served as Managing Director at TPN, an Omnicom retail marketing agency where he led marketing, business development and emerging commerce, where he restructured the agency to better support rapid growth, created and implemented a retail technology solution set and led winning pitches. Prior to TPN, Scott was a member of the founding team and the VP of Marketing at Marqeta, a Greylock Partners and Granite Ventures-backed payment start-up. Scott graduated from The University of Iowa with a BA in Communication and a new respect for corn. He also holds an MBA from Loyola University in Chicago, where he participated in one of its first eCommerce programs.